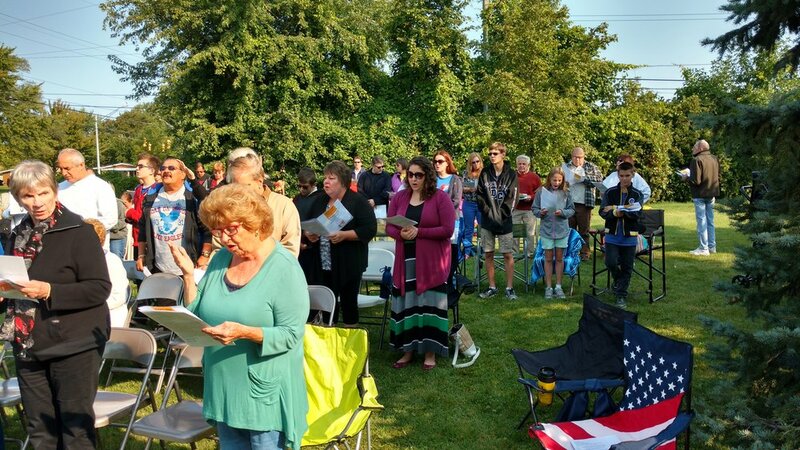 September 10th was a beautiful day at Amazing Grace, beginning with a uplifting outdoor worship service, a delicious by lunch provided by Thrivent, and then followed by service projects as part of Nation-wide ELCA God's Work. Our Hands. Sunday. One project was painting Kindness Rocks (as you can see in the previous blog), the second project we collected school supplies to go to Van Dyke Public School's Early Childhood Center. The Center houses Great Start Readiness Program and HeadStart classes. 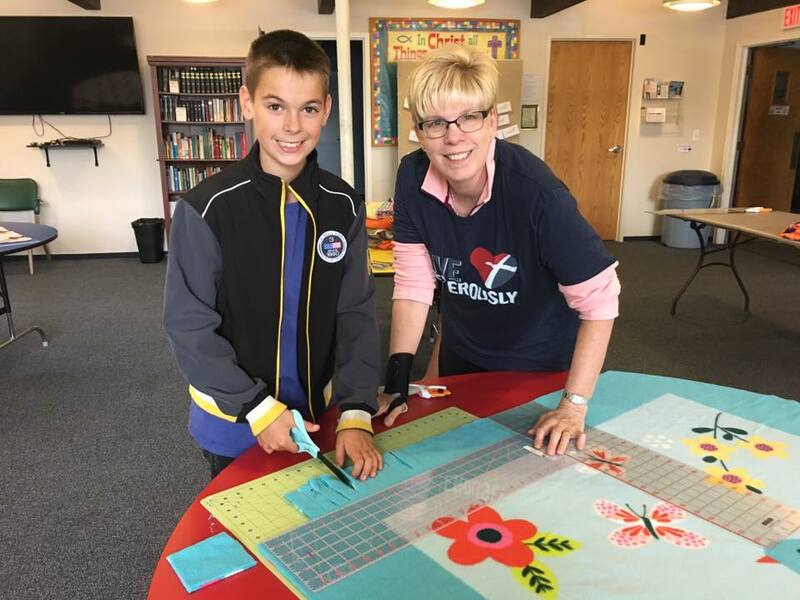 The students primarily come from impoverished families and often cannot afford to buy school supplies, and the third project was preparing 12 blankets and tying 3 prayer blankets. Our Prayer Blanket Ministry makes prayers real to those who are having surgery or who are suffering serious illness or infirmity or any other struggle in life. Brought together into each blanket is the gift of prayer: the symbol of faith in God and in God's power to comfort, strengthen and heal. This ministry began in April 2006. 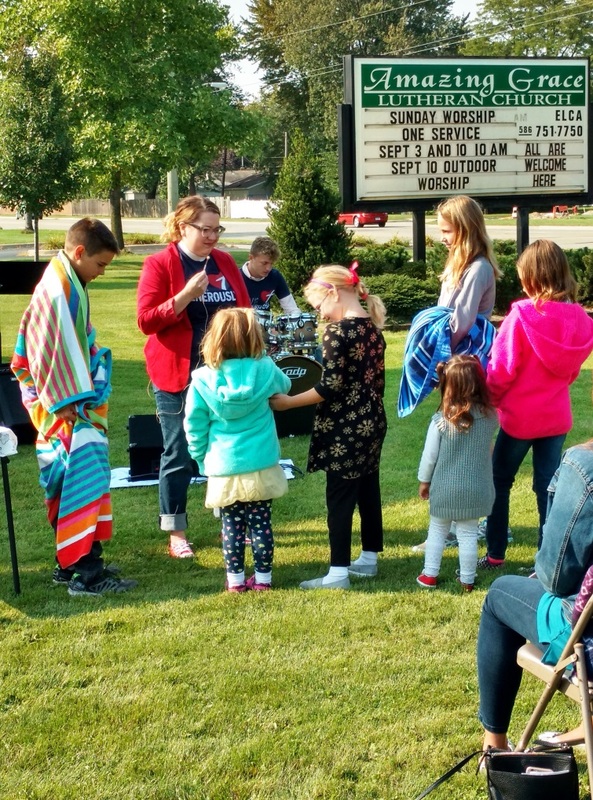 To date 271 prayer blankets have been made and delivered (even, in unique circumstances, all the way to Texas). 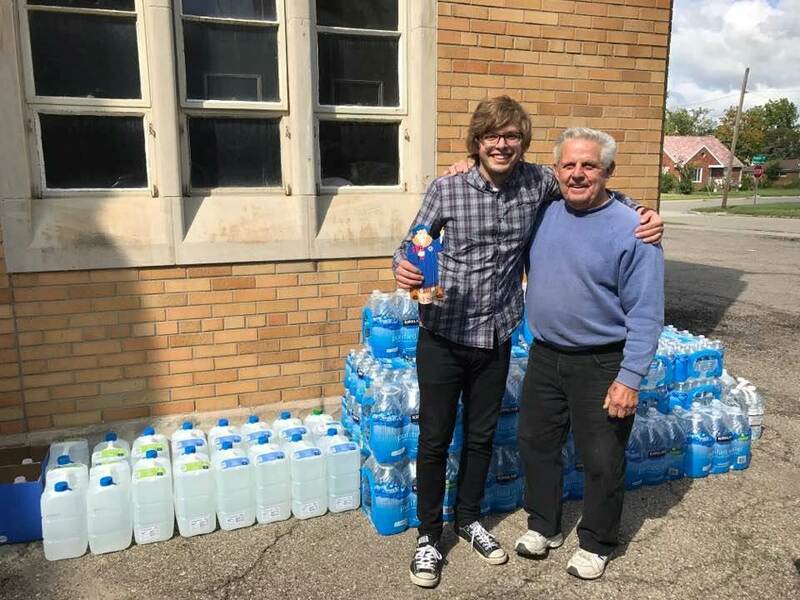 We also had a team deliver 1,600 large bottles of water to Salem Lutheran Church in Flint. We continue to support our sisters and brothers in Flint with love, prayers and water. To date, we have delivered over 16,000 bottles of water to Flint and we will continue to collect money and water and deliver water until the clean water is regularly available. What a blessing it is to do God's work, with our hands! Together we rise up!